I was lucky enough this month to make it to the Cambridge English conference here in not so sunny Granada. 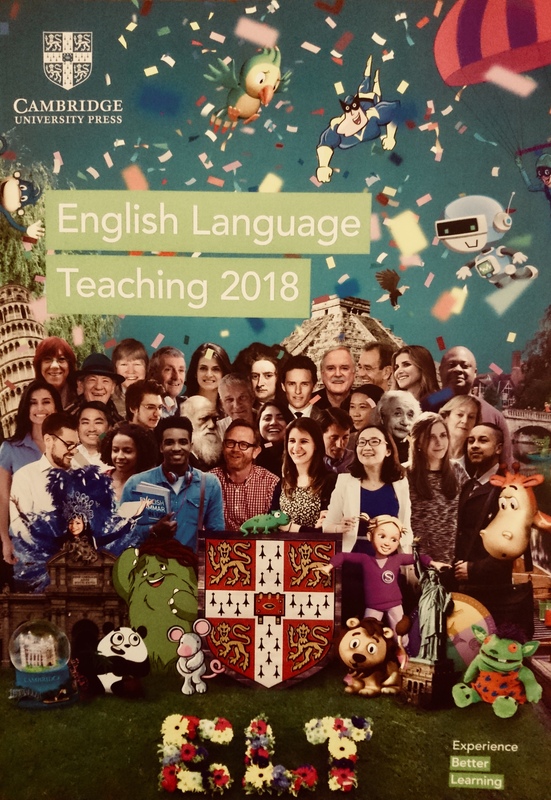 There were about 200 ESL teachers there from a variety of academies with a lecturer from Cambridge who was a fantastic speaker, to say the least, somehow managing to keep everyone’s attention first thing on a Friday morning after another long week at work. It was a compelling few hours during which many subjects were covered ranging from personal development to the many different ways we can apply our skills and resources to English learners all over the world. I am sure that a great time was had by all and we all left with lots of food for thought. One of the main points that were constantly driven home, however, was the importance in the eyes of the Cambridge examination system’s use of connectors. I personally can see why they are so keen on them as they really do serve as a bridge between sounding like a non-native speaker and making those phrases flow so much more fluidly. It is with this in mind I thought that I would try and give just a brief overview of connectors and their use and application with a few examples of a few personal favourites thrown in for good measure. Without bombarding you all with grammatical terminology (we all get fed up if it when learning English I know), a connector is simply a word or a phrase which we can apply to establish various types of relationships between sentences and words. This application helps to make more coherent and organised sentences while giving texture and a flow to what it is we would like to say that would otherwise come across sounding somewhat like a list. There are various types of connectors depending on the sentiment of what it that we are trying to convey. I will focus on just a few to try and show you the gist of their application. When reading the examples try and imagine how the sentences would sound without the connectors in and see if you can come up with a few examples of your own. Remember, it is better to try and invent and not be grammatically perfect than to shy away. Examples with and without connectors. *In contrast to the beliefs of my sister, I do not believe there is a God although I am open to the possibility of some mysterious fore existing. However, it would take some real persuading to make me change my mind. *My sister believes in God, I do not. It would take a lot to persuade me to change my mind. Here we see a possibly exaggerated example of how a lower level English foreign language learner could present a sentence as opposed to a natives sentence using a range of connectors and a few tenses thrown in for good measure. Below is a list of some of the most common connectors with examples to help you see how we apply them. We could go to the normal spot for some food, alternatively, there are some new restaurants that have opened up that have great reviews. Instead of working this evening I am going to put my feet up and relax. Dave likes to go out and party every night of the week. On the contrary, I think it is better to do things in moderation. I like the new album by The Rolling Stones although I think it is not their best. If I had money I would have gone, nevertheless I had a good night at home with friends. *We argued for 2 hours straight last night, it was all his fault, and besides, he was the one who started it. *We argued for 2 hours last night, it was all his fault, he was the one who started it. In this example see how the addition of a simple connector and an adjective (straight) can really give the sentence some texture and spice! Jose was at the concert also, did I tell you? We argued for 2 hours straight last night, it was all his fault, and besides, he was the one who started it. I didn’t agree with what was said yesterday and what’s more, is that I believe most of it to be lies anyway. I ate a starter, main, desert, and on top of that had 2 coffees. I will start yoga classes this week as well as be waking up a little earlier to make sure that I make the most of the day. *First of all, we started out at home but soon went to the cafe for the language exchange, then it was time for a bite to eat so we went the new sandwich shop next door. Later we set about our studies using what we had picked up earlier, firstly how to use phrasal verbs, secondly connectors and finally some new vocabulary from the language exchange. *We started at home, we went to the cafe for the language exchange, we went to get a sandwich for the shop next door. We started to study using what we learned, phrasal verbs, connector and some new vocabulary from the language exchange. Using connectors whilst telling a story is a really great way of making it into a four-dimensional journey for the listener/reader! We are going to start to learn English as soon as possible so that we are prepared for our trip to London. I was chatting away on Skype with my friend, meanwhile Mum was cooking the dinner in the kitchen. After six hours of trekking in the mountains eventually, we found a river with lovely fresh water. It seemed like a normal summers day when all of a sudden it started to rain. The view from the hill about Busan is spectacular, whenever I am here it takes my breath away. *It seems to me that he was being reasonably logical and in my opinion, he has the sense to get the task done. However, as I see it, he is just too young for the job at present. *He was being reasonably logical and has the sense to get the task done. He is just too young for the job at present. When expressing our opinions connectors are a great way of adding reason, structure and particularly in a work situation can really make the difference between having your opinion noticed or not! My personal opinion of the present political situation is that if we don’t change now then we never will. Language learning via Skype classes is a great and cheap option and I believe that it has opened up doors to people all over the world to achieve what they wouldn’t have been able to only a few years ago. A lot of people claim that The Beatles are the most influential group of all time, and who am I to disagree? In spite of all the evidence, I strongly feel that it was the wrong move on our part to go to war. Thanks to the plethora that is the internet there would be little value in me putting up yet another comprehensive list of connectors as dozens already exist. However, hopefully through the examples presented you can now see in a practical sense the application and continuity that is added to the text through just a few subtle injections of connectors in the right places. I remember when I was learning Spanish it felt like I hit a brick wall at one point as everything that I was saying just sounded robotic and without any flow or emotion. It was only once I started to learn the connectors that the language really opened up to me and I could switch directions mid conversation whilst maintaining the same theme and then return to the original point. This is the beauty of connectors in my opinion. If you would like any more please get in touch with me and I can email you a list. For those of you who have Spanish as your mother tongue, I also have complete translations of connectors between English and Spanish that are free upon request. Have fun spicing up your already existing sentences and phrases with these and remember that it is always best to add to what you already know rather than jumping into the great unknown. Try to list what connectors you already know (I am sure it is quite a few actually) and hand pick a select few that sound the nicest to your ears and experiment to see what contexts you can apply them to. I am sure you will find in just a short time with a few new expressions your English will sound that much closer to how a native speaks.